Who will you meet in Place2B ? Telecom engineer turned entrepreneur in Japan and passionate about innovation in retail, he created Locarise, a next generation retail analytics solution. Locarise is a platform that organizes, analyzes, and aggregates massive volumes of diverse data from the brick-and-mortar world of stores to improve accuracy and insights. Yan-Tarō is the director for Secure-IC in Japan (since it was launched in Japan in November 2016), as well as Head of Sales for the Northern Asia region. 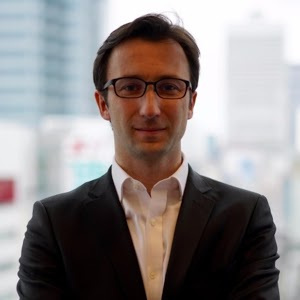 He is a former member of the department for Science and Technology of the French Embassy in Japan, focusing on ICT cooperation (especially cybersecurity, 5G, AI, etc.). He previously was working in the Telecommunication industry. Secure-IC is developing cutting-edge security solutions for electronic embedded systems and connected objects to protect them against cyber threats and physical attacks. Guillaume is an ex corporate and market finance analyst who turned entrepreneur in the need to build a meaningful product. Following his passions, he co-founded AR24 in France and seasonnally manages the company from Tokyo. AR24 is the first and only fully electronic certified mail service available in Europe with the capacity to verify any identity online with an automated process. It only takes a few seconds and requires no physical device - only a webcam and an ID. It's the very first legally viable digital KYC service in Europe.